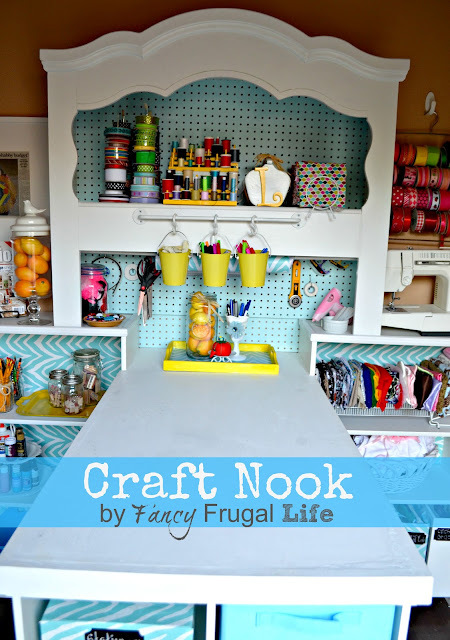 I absolutely loved the creativity that Lina, from Fancy Frugal Life, used to create her own little unique craft nook. 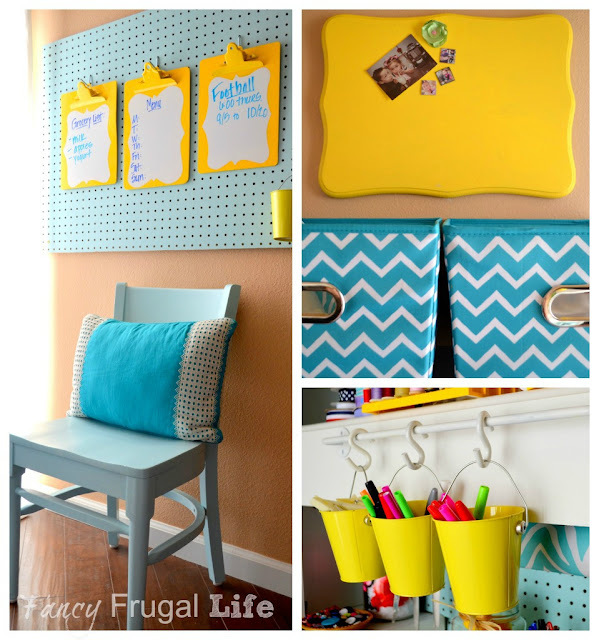 And she also came up with many other useful organization ideas in this space. To check it all out, you can read the full post, HERE. 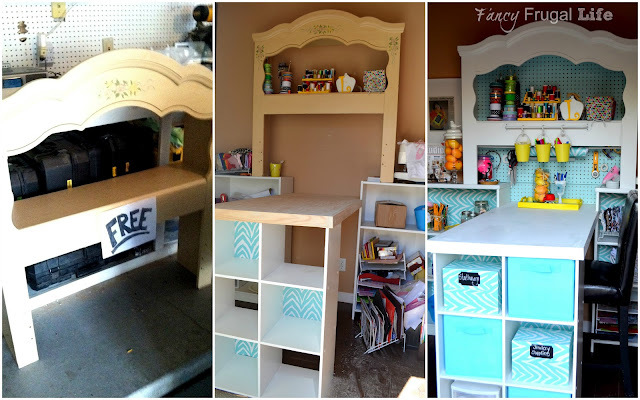 That is SO nifty! Love the headboard. Oh what a great idea. Love it!